Insight Services is a specialized detective firm. Our company provides investigative services in the sector of both personal and corporate level. Our Main objective is to offer an efficient level of detective services. Our detective service PAN India level set us apart from other detective agencies. Our professionals sustain confidentiality in our work and make sure all demands of our clients are met within a specific span of time. We have been serving our clients since a decade. In this level, people contact us to safeguard their business from others. 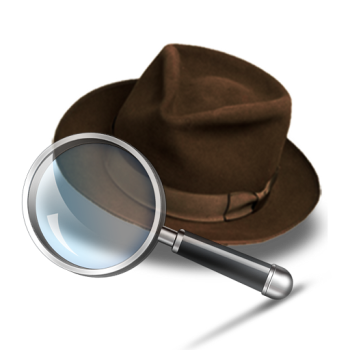 Our agency offer services in violation of copyright and trademark detectives in Kolkata, criminal investigation. Our experts also conduct incursions for corporate purposes. In this fast world, everyone has a busy schedule and is not able to manage time for their loved ones. This in turn gives rise to several problems in life. Insight Services offer detective services in matrimonial investigation, solve murder cases and many more. In order to collect valid proof, we conduct surveillance and enquiry. We make sure that our clients get a clear picture about the case. Our professionals provide evidences in the form of audio, video, documentary and photos. Our team of professionals in Kolkata takes every surveillance project for meeting the different requirements of clients. It does not matter to us whether the problem is professional or personal we will help you know the reality. The wide-ranging detective services in private family cases, matrimonial enquiries, corporate issues and matters related to business makes us one of the best investigation agencies. The talented undercover detectives of our firm swear by privacy. Carefulness is reflected in our services. Detectives working for us carry out every task by keeping in mind all the vital aspects of the case. Identity of the customers is kept secret as we understand importance of privacy in such cases. We deal both our national and international clients with quality services. The modern technology and proper guidance lets our team of detectives serve people in the best manner. The tracking software, GPS vehicle tracking devices, analytical tools and sting operation tools assist our skilled team to solve even the most complicated case within deadlines. We maintain complete discretion in all types of investigation projects. Matrimonial investigations are nowadays becoming very much compulsory and they are in trend because today.. The establishment and growth of a firm cannot be successful without a complete market research. A fingerprint verification tool is a type of modern tool that is generally used by several reputed companies in order to check the identity of a specific person. Being the most reliable detective agency in the industry, Insight Services is engaged in offering a wide range of handwriting and signature verification in India. Safeguarding intellectual property has become very much difficult during today’s age of international competition. Mr. U. Mondol, Texas, USA. Mr. Anisur Raheman, Dhaka, Bangladesh. Mr. Piter James, London, UK. Raj Steel Co. 10,K.M.Sarkar Lane,Kolkata-10. Central Scientific Concern Pvt. Ltd. 10.Canel South Road.Kolkata-14. B. D. Construction. 58/1,Turf Road,Kolkata-25. Sharma & Co. 45/C/9,K.N.Ghose Street.Kolkata-124. Audio clip spurs social media debate: Yanny or Laurel? Atlanta crime on the decline: Which offenses are falling most? Crime dropping in Washington: What’s the latest in the trend? San Antonio crime going down: Which offenses are leading the trend?